An important premise of Natural Computing is that some form of computation goes on in Nature, and that computing capability has to be understood, modeled, abstracted, and used for different objectives and in different contexts. Therefore, it is necessary to propose a new language capable of describing and allowing the comprehension of natural systems as a union of computing phenomena, bringing an information processing perspective to Nature. 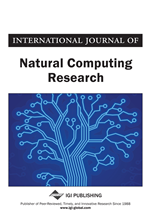 To develop this new language and convert Natural Computing into a new science it is imperative to overcome three specific Grand Challenges in Natural Computing Research: Transforming Natural Computing into a Transdisciplinary Discipline, Unveiling and Harnessing Information Processing in Natural Systems, Engineering Natural Computing Systems. 2000s: Study of information processes, both natural and artificial. From the early days of computer science, by the 1940s, researchers have been interested in tracing parallels and designing computational models and abstractions of natural phenomena. A pioneer example in this direction was the work performed by McCulloch and Pitts (1943), in which they proposed a logical model of how neurons process information. With the advent of computers, this type of research became even broader and deeper. New, interdisciplinary areas of investigation emerged based on efforts combining a natural science, e.g., Biology, Physics and Chemistry, with Computing. Examples include the Artificial Neural Networks, Evolutionary Algorithms, Artificial Immune Systems, and many others. Not so long ago these research fields existed by themselves in a disconnected fashion, but by the early to mid 2000, the first volume of the pioneer Natural Computing journal was released (Rozenberg, 2002) and the first textbook of the field was published (de Castro, 2006). With these initiatives, the field became more consistent and gained the status of discipline (de Castro, 2007; Kari & Rozenberg, 2008; Johnson, 2009; Rozenberg et al., 2012).